- Randall Rollinson, Owner, LBL Strategies, Ltd.
"The balanced scorecard fosters consistency in strategic planning and performance management throughout our organization. It provides us the framework for sustaining a disciplined and data-driven approach to decision making." "The Balanced Scorecard is a timeless tool for translating strategy into growth, especially in a rapidly changing world. This book presents a clear and understandable road map for how business leaders can fully engage employees around what matters most, leverage strategic performance management into extraordinary results, and create a powerful competitive advantage in times of great change." the three things I hate about the Balanced Scorecard! Thankfully Howard Rohm and his colleagues showed me their approach to the Balanced Scorecard, and just how powerfully their 'Nine Steps to Success' develops a deliberate, measurable and executable strategy. Now, this is what I recommend people use for strategy development. "Achieving our vision of A World Without Breast Cancer was a powerful promise. Constructing our strategy "Promise Map" had to engage the hearts and minds of our stakeholders - staff and volunteer - on what was clearly a heart and mind journey to "discover and deliver the cures." What could have been more worthwhile in time and energy than to focus direction and performance to save lives?" - Janet Harrison, former Director of Strategic Planning, Susan G. Komen for the Cure, Inc.
“I have experienced what started as an idea on a napkin blossom into a world-wide movement which is substantially impacting the lives of real people on four continents. 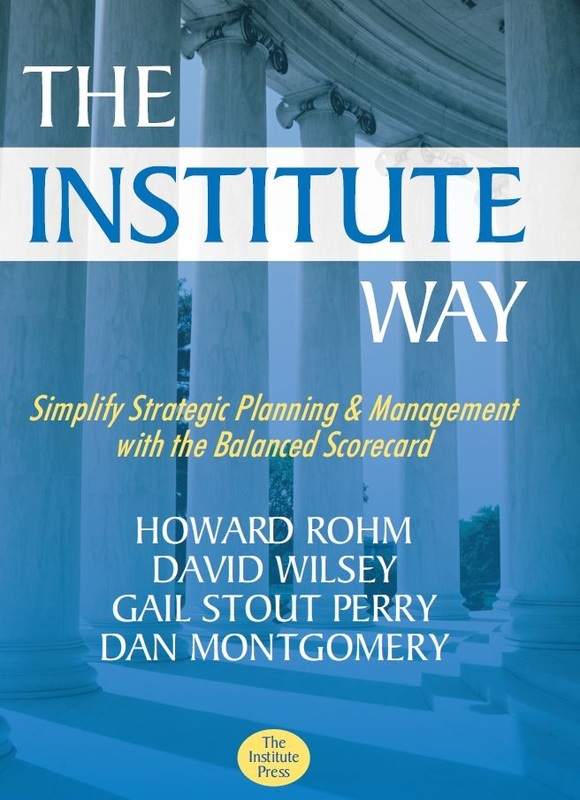 ...as I read The Institute Way, I found myself taking a nostalgic journey and marveling at the wisdom that the Institute has developed over the years. [The Institute has] done a great job of capturing both the soul, essence, and spirit of what they do as well as providing detailed technical maps of how to do the challenging work of aligning organizations strategically.